If you are an amateur and looking for more guide on how to sell your products in the worst of time, classic mistakes that amateur seller do, the art of controlling the situation and negotiation and many more. One of the tips that was given is stop talking and start asking question to attract the attention of your client. 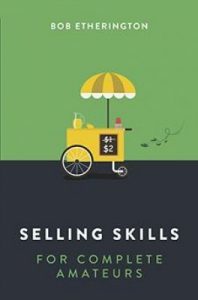 So if you really want more tips and guide on this, get this eBook and start learning now to boost your sale.